This is a stove which will service the largest of homes offering exceptional quality and meeting the most demanding of central heating requirements. It ha simple to use thermostatic control, meaning you can control the heat rate with the simple turn of a knob. Height 740mm, Width 760mm, Depth 515mm. Flue 175mm. 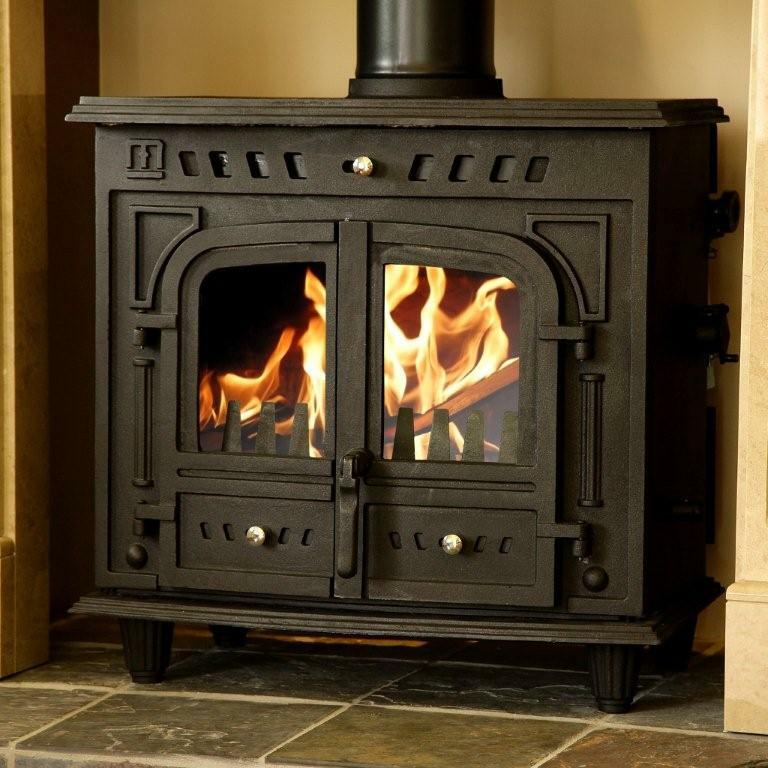 Features: Attractive Cast Iron Construction, Twin Doors, Powerful airwash to help keep the glass clean, External riddling, burns wood or solid fuel, multifuel, Thermostatic damper. Please phone for more details. Back Boiler Stove. Stoves with Backboiler.